At Tri-County Diesel Service, we appreciate that you want to keep your GMC Duramax truck running and looking its best-not only is your GMC Duramax truck your livelihood, it's also a reflection of who you are as a person and a professional. Most people don't know that repairs and maintenance for a commercial truck can cost upwards of $15,000 a year. We do, and we realize that's a lot of money. You can count on us to help you keep service costs to a minimum for your GMC Duramax truck or fleet. 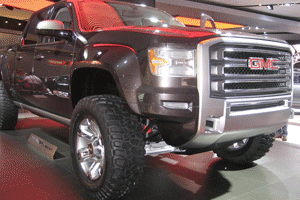 Bring Your GMC Duramax truck to Tri-County Diesel Service for Quality Repairs! If you operate a GMC Duramax truck in the San Antonio area, contact Tri-County Diesel Service and learn more about our truck and fleet services. Call or make an appointment request today!